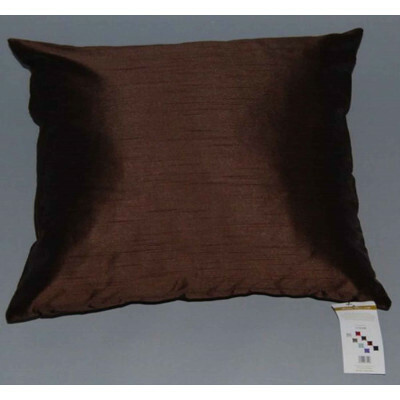 Boost up the vitality of your room with our exclusive chocolate coloured brown cushion cover. Its fabulous faux silk grants a glorious sheen to the cover and is soft, smooth and highly durable for everyday use. This sumptuous cushion cover is not merely a piece of decoration but will bestow you tremendous comfort that you will surely be passionate about. Available in 18" x 18" size, our cushion cover in chocolate tinge is perfect for adding a classy and refined ambiance to your home.